My summer schedule does allow me a long lunch but I have found a way to make my lunch time seem luxurious and leisurely. 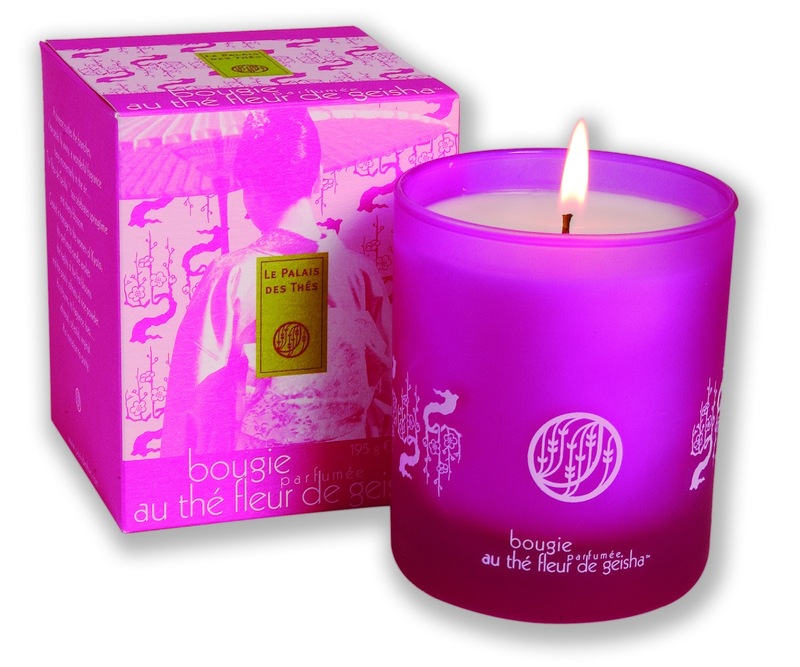 The Fleur de Geisha tea-scented candle from Le Palais des Thes! I haven't drunk the namesake tea - Japanese green tea flavored with cherry blossoms - but I gather it's good. Nicole Martin via Twitter wrote, "If it smells anything like the tea, I'd be in heaven." Well, the candle does smell amazing. You can smell the candle before you open the box. It is a heady scent. However, the scent of the candle itself is milder which I appreciate. The rice powder must contribute to the smooth, silky aroma, like the scent of a high quality face powder. When I burn the candle during lunch, it is like eating in a garden during sakura season. As expected the packaging is fantastic. Though I don't want to finish off the candle, I look forward to reusing the holder. Le Palais des Thes offers five tea-scented candles. View them all here. Thank you, Nathaly and Fraiche PR.